Push and pull plates are used on doors that do not latch. They protect the door from scratches, dirt, and fingerprints as it is used. They can be decorative or simple in design. 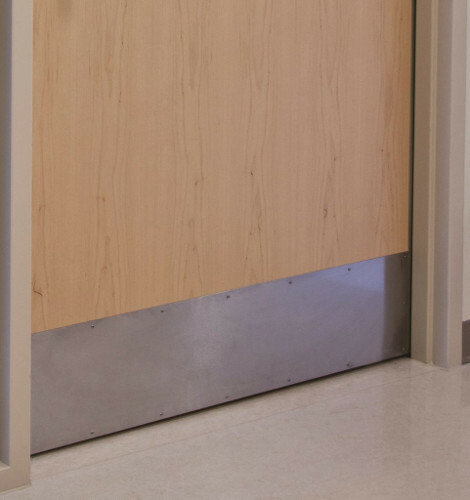 Protection plates are used to prevent scratches, dents and and other possible damage caused by individuals or equipment as they pass through the opening. There are various sizes of protection plates and they are classified into four different types: kick, armor, mop and stretcher plates. Kick plates and armor plates are the most common. Door pulls come in various shapes and sizes. 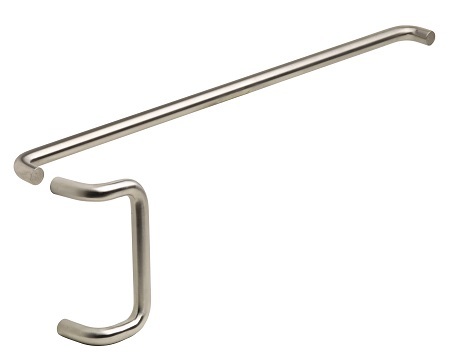 Pulls provide a handle for grasping when opening a door. 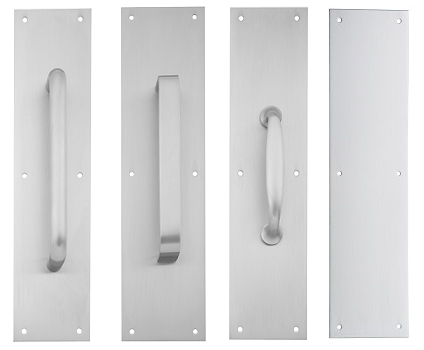 Pulls can be straight, offset, or even flush with the face of the door. Some door pulls can even be decorative with custom designs and finishes. 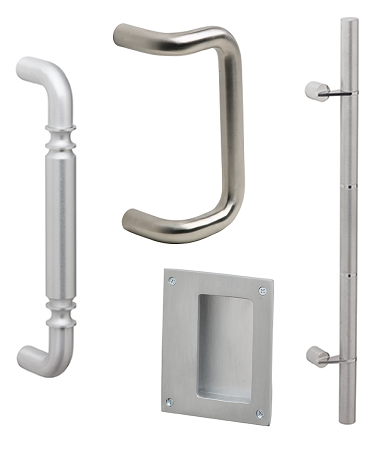 A push bar is a popular option for openings on vestibules where no latching is required. The horizontal push bars are often paired with a pull bar on the opposite side of the door. When ordering you must specify the Center-to-Center dimension (CTC) which is measured from the center of one screw hole to the other.